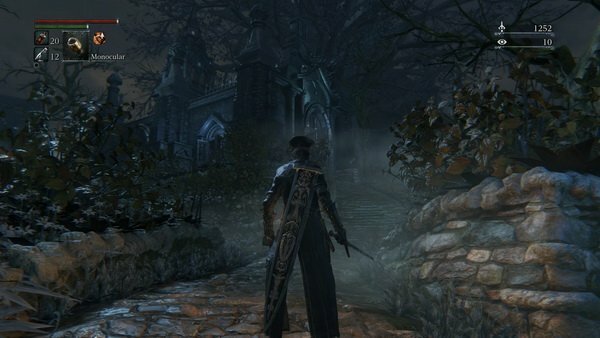 Abandoned Old Workshop is a location in Bloodborne. It is a small workshop hidden away from prying eyes, and look startlingly similar to the Hunters Dream. What significance this has is up to interpretation, though it seems to have some ties with Gehrman. The Hunter's Dream is a replica of this place. Entering this area will unlock the "The Source of the Dream" trophy. Finding the place gives you 2 Insight. The Old Abandon Workshop was the origin of the Hunter's Dream. Gehrman, as the First Hunter, has formed the Workshop and created various standard Trick Weapons and Firearms for the Hunters, the Plain Doll also came from this place, served as Gehrman's one and only companion in his dream. While the Old Hunter Bone outside was probably Gehrman's apprentice as well as an associate of Master Willem, Laurence. The Umbillical Child could be evidenced that Gehrman was fully aware of the Moon Presence and the origin of the Dream right from the beginning, and wishing to awake from it. He eventually developed a dislike to the Doll since he wants to get rid of the Nightmare. 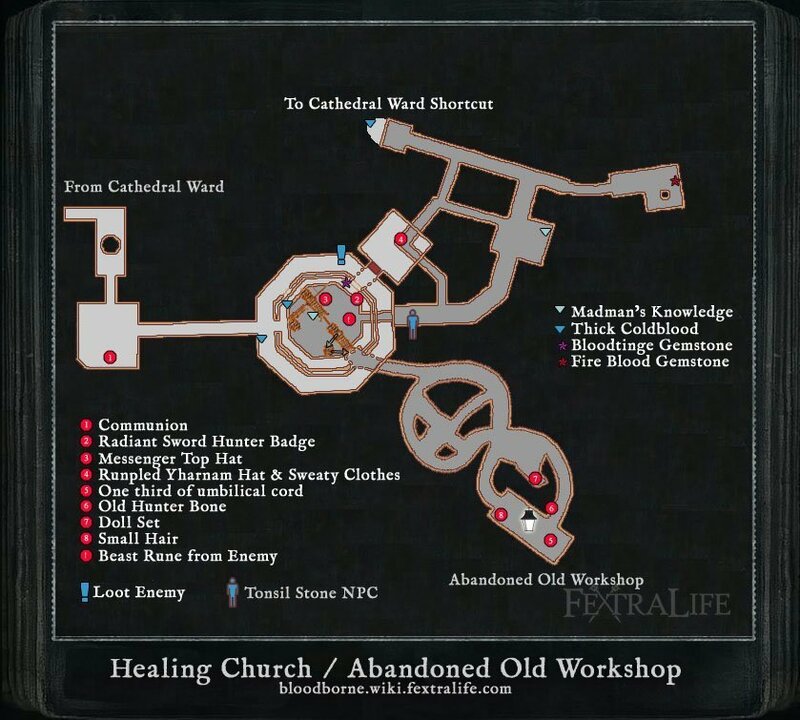 After defeating the Blood-Starved Beast go to the Cathedral Ward and enter the door on the right, take the elevator up, cross the room with the wheelchair enemy and don't enter the next building, go around the building right side, drop down and enter the doorway further ahead. There are several drops here and the goal is not to reach the bottom. Drop on the left side before the walkway to land on a small platform. Drop again to the next platform and open the door, enter and you will reach the Abandoned Old Workshop. Light the lamp in the middle of the building and go outside, where the Insight Messenger Shop is in the Dream, and pick up the Old Hunter Bone.